This page was written by Linda Lennon, Montana State University, as part of the DLESE Community Services Project: Integrating Research in Education. Coalbed methane: economic boon or environmental boondoggle? Methane, CH4, is a naturally occurring gas; it is the major component (95 percent) of natural gas. It can be produced in a variety of ways. For example, methane is produced during the natural coalification process, when organic matter such as trees or vegetation is quickly buried and then heated. Methane can also be produced by farming and ranching activities or as a byproduct of industrial processes. Methane is a greenhouse gas that remains in the atmosphere for up to 15 years, and it is also a relatively inexpensive, clean burning fuel. Learn more about methane gas (more info) . Learn more about the variety of ways that methane is produced (more info) . Coalbed methane is natural gas that is produced as organic material and turned into coal. It is then stored on the many surfaces of the coal. The methane is usually held in place by water pressure. Learn more about coalbed methane (more info) . For a comprehensive look at coalbed methane, check out Coalbed Methane Development in the West (more info) . 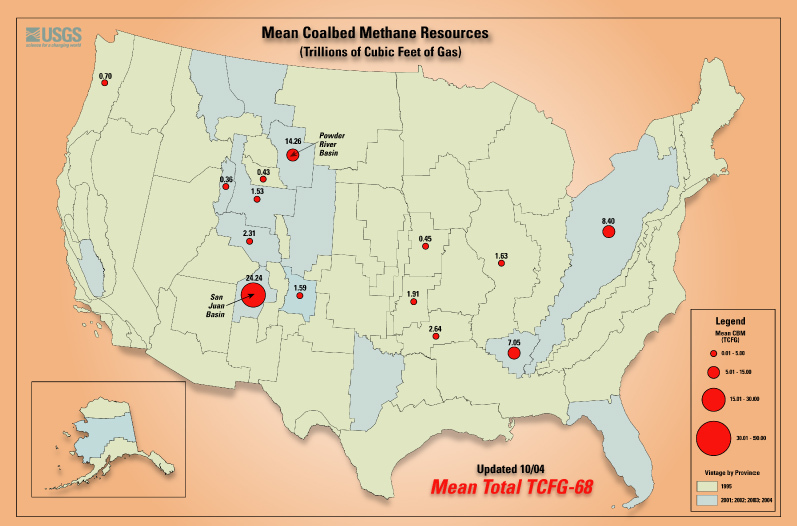 Where is coalbed methane found? 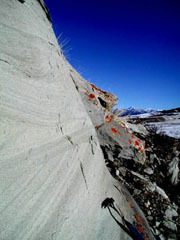 Coalbed methane is associated with coal deposits, and is found in coal seams. In the past, the gas was the cause of numerous explosions in underground mines. 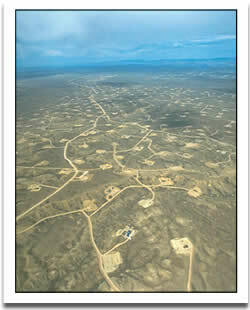 More recently, the gas has been vented to the surface from underground mines. It is only during the last twenty-five years that it was realized that coalbed methane could be used as a resource. Various basins in the Rocky Mountains hold much of this country's coalbed methane resources. Learn more about existing and potential coal bed methane development and resources (more info) . Learn about coal resources within the Northern Rocky Mountains (more info) . How is coalbed methane extracted from coal? 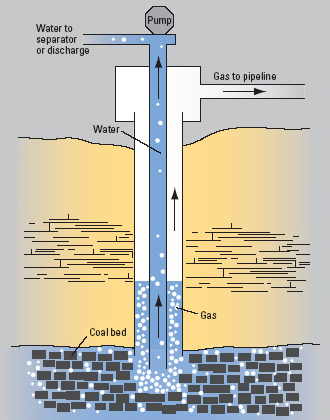 When water is removed from a coal seam, it lowers the reservoir pressure. Methane that was held in place by water pressure tends to follow the water as it is pumped to the surface, where it is captured and transported through pipelines to storage facilities or shipped. This relatively inexpensive and straightforward procedure has made coalbed methane a useful, easily accessible form of energy. Learn more about coal and the extraction of coalbed methane gas (more info) from its coal seam. How much water must be removed to release the coalbed methane? Each coal deposit is different, so the amount of water that must be pumped to the surface varies. The amount of water also varies over the life of the well, with more water being removed from the coal seam initially, and then declining over time. The amount of water removed is substantial, however; by some estimates 17,000 gallons are pumped from each well in the Powder River Basin daily. Learn more from this United States Geological Survey report (more info) that monitors the quantity and quality of water removed from coal seams in the Powder River Basin. What is the composition of the water removed during coalbed methane production? The water composition varies, even within coal deposits. For example, a USGS monitoring project in the Powder River Basin shows an increase in dissolved sodium (Na+) and bicarbonate (HCO3), along with an increase in total dissolved solids. In general water produced from coal seams can be saline (contains a high concentration of dissolved salts), or sodic (high in sodium concentration relative to concentrations of calcium and magnesium), or both. Learn more about the saline and sodic chemistry of coalbed methane co-produced water (more info) in Montana's Powder River Basin. Learn about the USGS's water composition and monitoring efforts (more info) underway in the Powder River Basin. How does water extraction affect local aquifers? Local aquifers may or may not be affected, depending on the local geology, but there is usually some drawdown measured. Various agencies now monitor water in the affected areas to learn more about this process. Learn about potential drawdown in the aquifer of Wyoming's Powder River Basin in this US Bureau of Land Management report (more info) . What is done with the water generated during coalbed methane production? There are many possibilities, depending on water composition. The water can be released on the surface and used to irrigate crops or water livestock if it is clean enough. There is some disagreement about what is clean enough, however. Water extracted from coal seams can negatively affect soil, crops and native plants. For example, using saline water for irrigation can eventually inhibit germination and plant growth. Excess sodium can change the physical properties of soil, leading to poor drainage and crusting. This in turn can affect both plant growth rates and crop yield. Other alternatives, such as re-injection, can be costly. Water rights relating to coalbed methane production can be contentious in the arid west, and to a degree remain unresolved. Learn more about coalbed methane co-produced water's affect on different types of soil (more info) . See how coalbed methane water can affect native plants (more info) . View an extensive set of possibilities for coalbed methane water disposal (more info) . Learn about the complicated water rights (more info) in the arid western states. What is the environmental cost of coalbed methane? Coalbed methane production results in changes to the land, to surface water, and to ground-water systems. These changes should be monitored and managed in order to reduce their impact. Environmental Impact Statements have been completed, and although they are being challenged, they remain a starting point. With care, it seems that the environmental costs of coalbed methane can be reduced. What do you think? What are the most important environmental impacts of coalbed methane? Can these be avoided or offset? How? What is the environmental benefit of coalbed methane? Coalbed methane is produced domestically, reducing our need to import energy. Geologists are aware of the depositional environments that can produce coalbed methane, reducing the cost of extensive exploration. And most importantly, methane is a relatively clean-burning source of energy, much cleaner than coal. All of these factors combine to make coalbed methane a locally-produced, affordable source of energy. Is coalbed methane extraction a viable, sustainable practice? The jury is still out on this question. Our country has a voracious appetite for energy, and coalbed methane is a clean-burning fuel that is economical to produce. There remain questions about the detrimental effects that the removal of coalbed methane will have on the environment, and especially the water, in the Rocky Mountain Region. What do you think? Is the environmental cost worth the economic gain? Read Montana's Environmental Impact Statement. Learn about concerns (more info) of the USGS regarding future coalbed methane development. Coalbed Methane Exploration near Bozeman, MT: a good play or an environmental fight? The Cretaceous Eagle Sandstone in Montana's Bozeman Pass area has been targeted as a potential source of coalbed methane. There are many opinions on this divisive topic. Realizing that each coal deposit is unique, try to decide if the Eagle is a good "play" using what you have already learned about coalbed methane in addition to the following resources. Organize your thoughts by writing a scientific assessment of coalbed methane development at the proposed location, followed by an opinion of the feasibility and legality of pursuing coalbed methane development at this site. Remember that no matter which side you pick, be sure to use data to back up your argument. For example, is there enough coal in the Eagle to warrant coalbed methane exploration and extraction? Will local zoning laws permit development? Learn about the depositional history of the Eagle Sandstone in Southwest Montana. Learn about the stratigraphic framework (more info) of the Eagle in Central and Eastern Montana. Learn about the Eagle Sandstone's shallow gas accumulations in North-Central Montana. Learn more about shallow biogenic gas (more info) in Montana. Learn about predicting coal deposits using sequence stratigraphy . Read about the responses of the local population (more info) to the possibility of coalbed methane drilling. Learn about the legal battle (more info) between J. M. Huber Corp. and locals, environmentalists, and county government. Read about the result (more info) of local opposition. K-T Extinction and the K-T "Boundary"